Sign-up and receive Property Email Alerts of Residential Estates in Sienna Estate, La Lucia. A stunning simplex in the highly sought after estate Sienna. 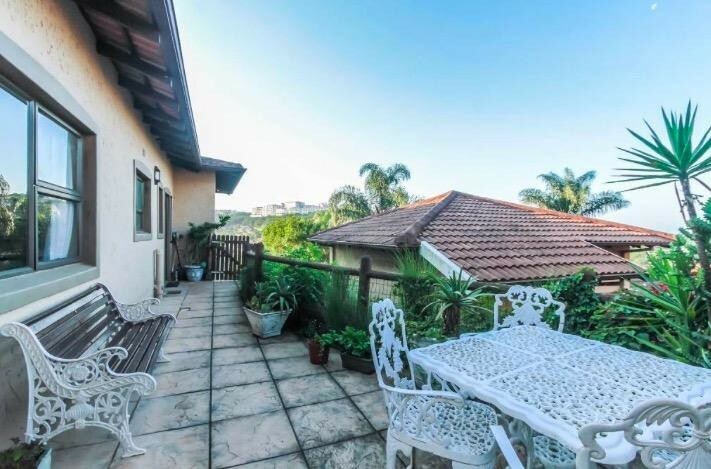 Well-manicured gardens and lush greenery throughout, this upmarket estate has it all with 24HR manned security, electric fencing for a much sought after sense of security for all. A large modern open plan lounge, dining area and kitchen offering a fully plumbed scullery and granite counter top kitchen. The lounge has direct access to the covered patio and garden with Jacuzzi and jungle gym for the kids. Prestigious and private estate in the heart of La Lucia.